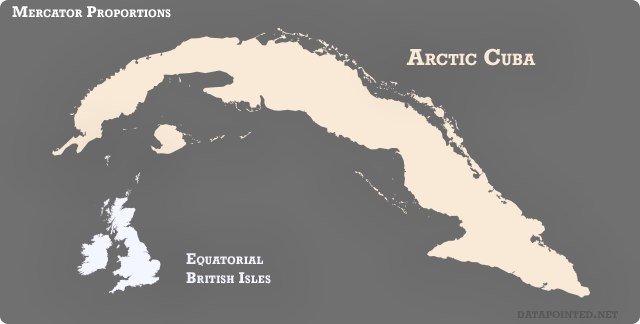 Mercator shrinks the Equator! 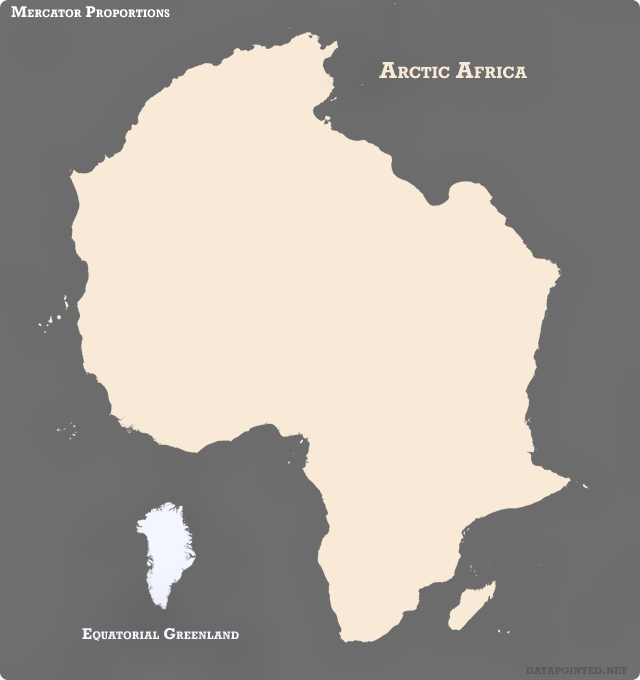 Thus protest Kai Krause and a billion Africans, upset that the Mercator projection – used by Google Maps and found on countless grade school walls around the globe – makes their vast continent look positively puny compared to the rest of the world. Why? 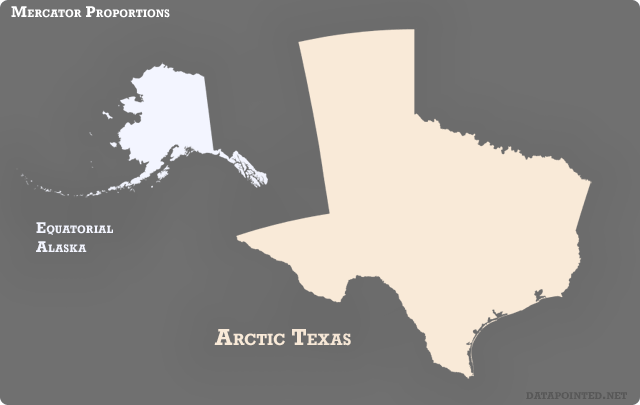 As with any map projection, Mercator is a trade-off. Ancient compass-wielding navigators loved Mercator’s lines of constant heading, and without its faithful local angles and parallel lines of latitude/longitude, online maps would be downright confusing. The mathematical cost? Magnification, fun house mirror style! 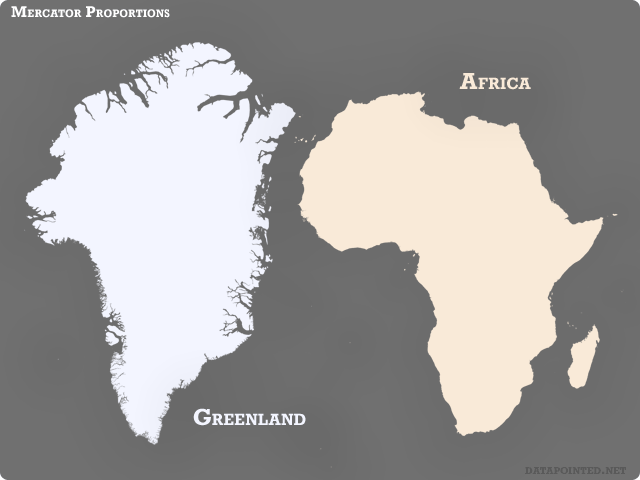 Mercator oversizes Greenland because it sits so much closer to the poles than Africa. ¡Con el norte y el proyección de Mercator, Los enterraremos!